Year 2 is when your child will take their Key Stage 1 SATs exams. Our Year 2 English worksheets and Year 2 maths worksheets will help your child revise what they're learning at school and the Year 2 SATs practice papers will help you check their progress. With friendship issues and KS1 SATs stress to contend with, how will your child change in Year 2? Year 2 is when your child will take their Key Stage 1 SATs exams, but what does that mean? What will they learn? And how can you help? Find out in our parents’ guide. Get ready for SATs with our guide to everything you need to know about the Year 2 and Year 6 assessments. 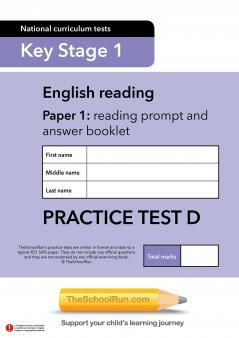 Our Year 2 English Booster pack covers all the main literacy topics your child will learn in Y2 – perfect to help your child prepare for KS1 SATs at the end of the school year or revise key concepts covered in Year 2 English. Writing 'Missing' posters for favourite toys, devising menus, reviewing books, filling story treasure chests, teaching aliens to brush their teeth and more – this learning pack is bursting with fun activities to boost literacy. Whether you're revising for KS1 SATs or keeping your child's maths learning on track over the school year, our Year 2 Maths Booster pack covers all the main numeracy topics for Y2. Help them practise their skills with colourful worksheets - a daily session with pirates, sandcastles and wizards will consolidate multiplication, addition, rounding up, estimation and partitioning the fun way. Discover a unique Learning Journey programme for Year 2 English and maths. Ther are 40 worksheets in the progamme, that cover all the key topics in the curriculum for Year 2. By following the programme, which closely mirrors what your child is being taught in school in Year 2, you’ll quickly be able to spot any topics that your child hasn't fully grasped and reinforce learning that is happening in the classroom at home. Your child will feel more confident in their own abilities and you’ll know you are giving your child the very best chance of succeeding in school. Is your child's learning on track? Working with phonemes to read and write, learning to spell high frequency words, using non-fiction texts and creating stories... literacy is demanding in Year 2. 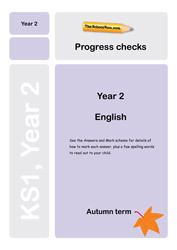 Check your child's progress and identify any areas they need extra practice in with our Y2 English Progress checks. Year 2 topic homework? 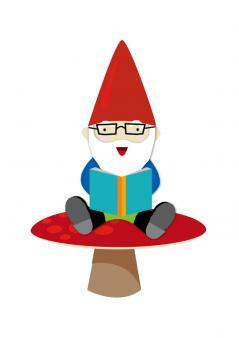 The Homework Gnome is here to help!